The flavonoids and tryptophan found in dark chocolates and dairy products respectively, can boost the health of good bacteria our digestive tracts. Chocolate lovers rejoice! 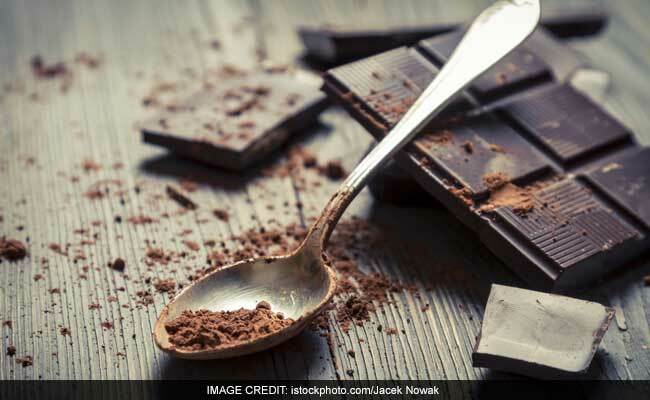 According to a latest study, the flavonoids and tryptophan found in dark chocolates and dairy products respectively, can boost the health of good bacteria and virus living in our digestive tracts. According to the researchers at the Washington University School of Medicine in St. Louis, these Microbiota or the cluster of billions of bacteria, viruses, and fungi that live in our digestive systems protects our body from pathogens causing flu and inflammatory disorders. Researchers published results of two studies of mice that examined how intestinal immune responses can have positive association with the consumption of certain nutrients. The first study analysed the effects of flavonoids - the antioxidants largely found in dark chocolate, bilberries and red wine - on the intestinal microbiota. The team claimed these nutrients had the potential to team up with certain microbiota bacteria to combat influenza and other viral infections. The researches said that they were able to identify at least one type of bacteria, Clostridium orbiscindens, that uses the dietary compounds to boost interferon, an indicating molecule that aids the immune response to diseases. They explained that the mechanism protected the mice which were exposed to a flu virus from pulmonary complications, even when they had the same amount of viral load as the untreated mice in the control group of the study. The findings indicate that the collaborative interaction between the bacteria and the flavonoids does not target flu viruses directly, but instead stimulates a response that prevented their natural immune system from impairing the lung tissue. According to the second study, bacteria Lactobacillus reuteri present in the cluster of microbiota when teamed with a diet rich in tryptophan can boost digestive health by promoting the growth of anti-inflammatory immune cells. Milk, soy milk, parmesan cheese, turkey, and pumpkin seeds are loaded with the amino acid Tryptophan. Tryptophan is also said to boost the secretion of happiness hormone - serotonin. The findings revealed that when the amount of tryptophan was doubled in the mice, it boosted the growth of their immune cells by 50%. The scientists believed that the findings could prove to be useful to the medicine and drug industry working to build drugs to cure inflammatory bowel disease.